Find out what people are saying about PostGIS in Action and why you should get a copy. PostGIS in action has landed: finally a book about PostGIS, we were all missing it! A software project that has a public visibility since almost 10 years, with a large community and a long series of use cases, finally has its deserved book. Now I have to admit that having this book at that time it would have been a dream! But even now, after five years of experience and hacks on the best open source spatial database out there, I can safely say that reading the book has given me (and will give me) many benefits. The reading of the material assembled for this book by the authors that I made during these months of the Manning Early Access Program (Manning is a great publishing company that, as Packt and apress gives a great choices of book titles about FOSS) has been impressive. After spending a couple weeks looking through the book, I have to say that I am very impressed with the quality and completeness. 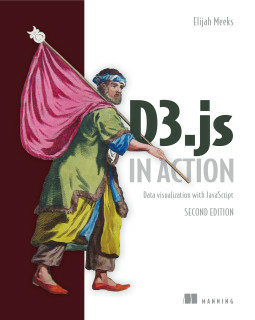 Indeed, this is the book that I wish would have been available when I was starting out with PostGIS. The authors do an excellent job of promoting the idea that a relational database and SQL are well suited for spatial data modeling and analysis. 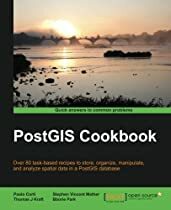 The quantity of information and quality of examples within this book fill a long-standing gap in knowledge related to PostGIS and the more general topic of spatial SQL. 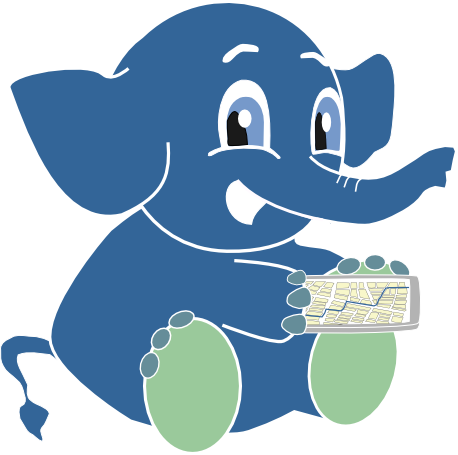 provides a good introduction and reference to the PostGIS extensions to the popular Postgres database. It is recommended for anyone intending to use PostGIS. Although the book includes a primer and introductory coverage of SQL and Postgres, someone with limited experience in these areas will probably also require a guide to Postgres. A welcome chapter on performance tuning covers subjects such as the query planner; diagnosing performance problems; indexes; SQL patterns; and optimizing geometries. I’ve been reviewing it over the last year or so and let me just say it is full of awesome. I can’t say enough that everyone who uses or wants to use PostGIS needs to get this. Stephen Woodbridge I have been using PostGIS for 5+yrs and found lots of tips and tricks in this book that I wish I had known about before. At the same time, this book is very well written as an introduction into geospatial databases and PostGIS. It walks the reader through the concepts and demonstrates them with easy to understand examples. I did not find myself bored with the writing even in areas that I was already well versed. I can strongly recommend this book as great addition to anyone's personal library. Richard Greenwood I wish we saw more books of this quality in the computer technology field. "PostGIS in Action" has sufficient introductory material to quickly get a new user up and running, and excellent examples for intermediate users working their way thru the PostGIS documentation. But the real value of the book is in the in-depth and authoritative discussion of the various approaches to solving a problem. 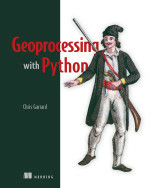 Chris W: I just started a new project using PostGIS, and this book has been invaluable to that experience. So whether you're just getting started or you're already an expert in few GIS systems, this book has it all. David Chazin If you are using or wanting to learn PostGIS you need this book. As noted by other reviewers this book is well written, comprehensive, and UNLIKE a lot of other software books it does not simply regurgitate the documentation you can find on line. text and the examples provided are clear and to the point. Luis Bahiana i think the authors suceeded to present all this material in a organized and readable way. I have a background on traditional GIS packages - like ArcView and ArcMap, and i would recommend this book for anyone triyng - as i am - to learn new approaches on geodatabase management and Geographical Analysis.Being a new an interdisciplinary subject,there is a considerable learning curve, but the authors provide very basic examples to starters, and an excellent appendix full of on-line resources. Houdini The perfect book for PostGIS - The coverage of this book is very comprehensive, the examples are clear and tangible (and cover real world problems, which I thought was amazing), and the book is written well enough that even the novice database developer can learn from this book. Evilinside Better to have this book on GIS developer's desk- consists detail descriptions and examples of how to play with geospatial data with the PostGIS. I must confess to being something of a “book guy.” I like having a book on my lap as I work through a problem (using my multiple monitors for actual implementation). “PostGIS in Action” puts most of what I need between one set of covers. This book addresses a problem I have run into repeatedly in my consulting work: educating database professionals (DBAs, developers, etc.) on working with spatial data in a manner that they are familiar with. The authors are extremely knowledgeable about database technologies of all kinds and it comes through here. It's easy to feel like a completely disoriented newbie to spatial information when trying to learn how to use PostGIS, the popular PostgreSQL extension adding support for all sorts of map related features. Geographic information systems (GIS) are filled with their own special terminology and techniques. To help navigate this maze (literally sometimes! 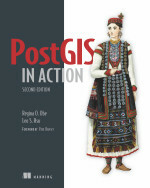 ), Regina Obe and Leo Hsu have recently released PostGIS In Action, a whopping 492 pages of nothing but information on this specialized topic. My first pass through PostGIS In Action left me much more comfortable with the big picture of how applications built using these tools fit together. „PostGIS in Action“ is the ideal companion to the offical PostGIS documentation. It provides an introduction to working with geospatial data and hands-on approaches to solving real world geospatial problems. It covers data analysis, viewing and mapping as well as guides on how to integrate with other tools. If you are working on an application leveraging geospatial data with PostGIS or planning to do so, this book should sit on your lap. My initial impression of the book is that it fills the niche I had for it beautifully. Regina is an active member of the PostGIS community responsible for much of our documentation and many questions answered, so it came as no surprise to me that the early chapters of the book provided a smooth and well constructed introduction to the fundamental concepts of spatial data and data modeling. With many hands-on examples, new users are guided through the concepts in an interactive and results-focussed manner. Even the two chapters on spatial functions cover the what a function does without losing sight of the question of why you would want it. Follow those up with one of the clearest discussions on spatial reference systems I've ever seen, and you're holding in your hand the most thorough and approachable introduction to PostGIS I've yet to see.